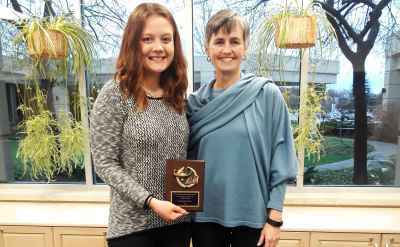 While sharing the common characteristic of virtuosity in their chosen fields, this season’s performers assure that audiences will experience an incredible breadth of top-quality arts performances right on the campus of Goshen College. 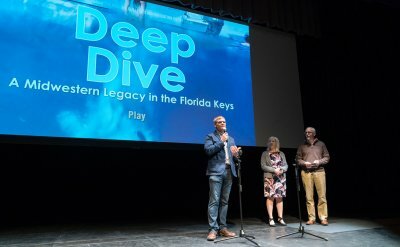 The line-up was publicly announced on Tuesday, May 2, during the final performance of the 2016-17 season featuring Che Malambo, an Argentinian dance troupe. Initial reservations were available immediately following the concert, and season package tickets formally go on sale to the public on Wednesday, May 3 at 8 a.m. at the college’s Welcome Center. Individual concert tickets will go on sale August 4, 2017. 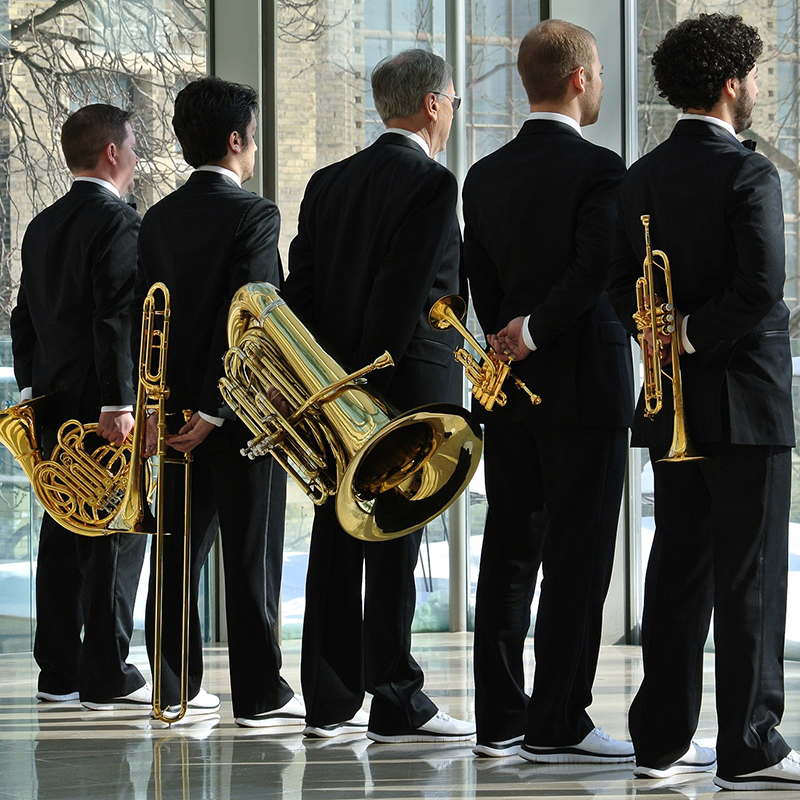 Saturday, September 16, 2017 | 7:30 p.m.
With an international reputation as one of the most popular brass ensembles today, Canadian Brass has truly earned the distinction of “the world’s most famous brass group.” In its 47th season, the “Kings of Brass,” as described by the Ottawa Citizen, have performed in virtually every major concert hall in the world, and have delighted hundreds of millions of listeners with their more than 137 recordings and videos with nearly every major recording label since 1970. 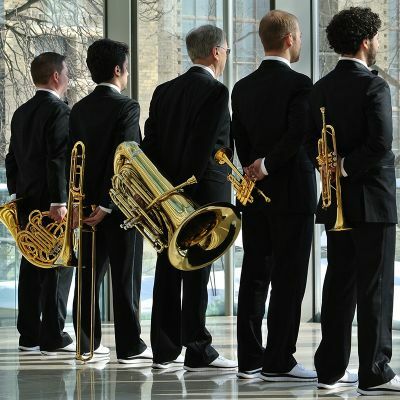 Renowned for genre-bending versatility and joyous performances (and known for their unique performance attire of formal black suits with white running shoes), the award-winning quintet is almost single-handedly responsible for elevating the art of the brass quintet to what it is today. Saturday, October 14, 2017 | 7:30 p.m.
Sunday, November 5, 2017 | 7:30 p.m. 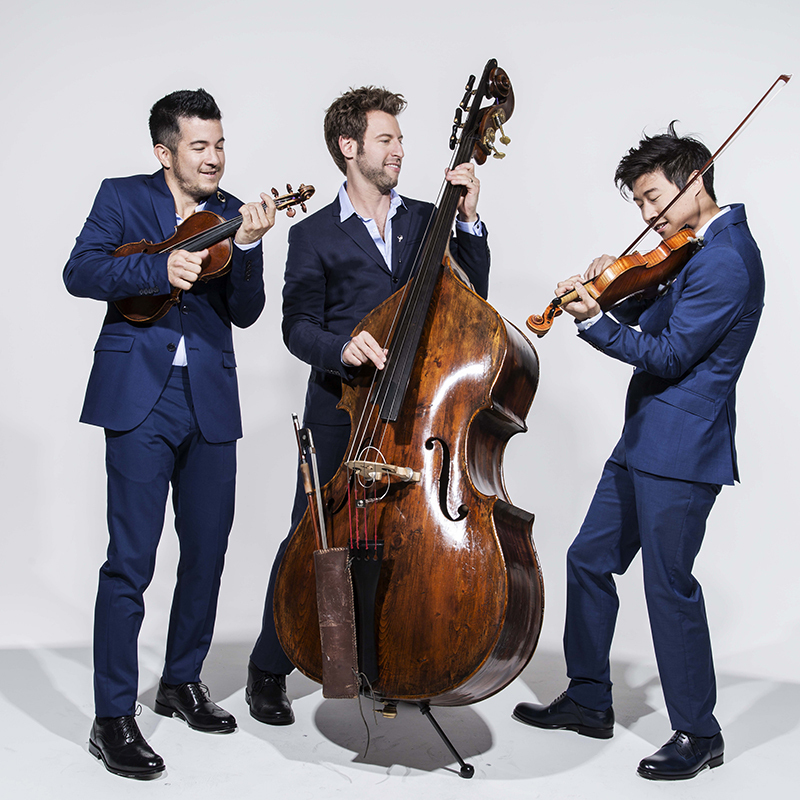 The groundbreaking, category-shattering string trio Time for Three (Tf3) transcends traditional classification, with elements of classical, country western, gypsy and jazz idioms forming a blend all its own. The members — Nicolas (Nick) Kendall, violin; Charles Yang violin; and Ranaan Meyer, double bass — carry a passion for improvisation, composing and arranging, all prime elements of the ensemble’s playing. Tf3’s high-energy performances are free of conventional practices, drawing instead from the members’ differing musical backgrounds. 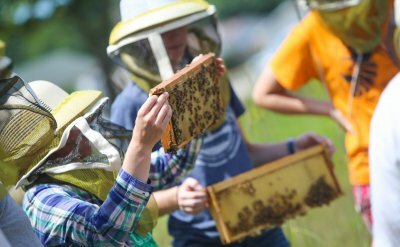 For this special performance, Tf3 will be joined by the Goshen College Symphony Orchestra for a portion of the concert. Tuesday, November 14, 2017 | 7:30 p.m. 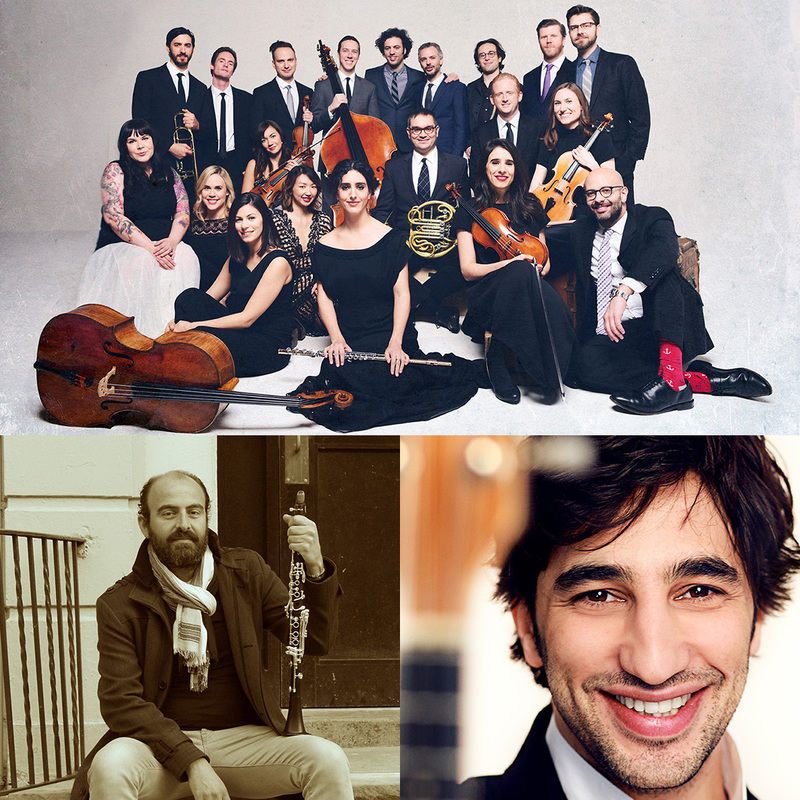 The trailblazing Israeli mandolin virtuoso Avi Avital and soulful Syrian clarinetist and composer Kinan Azmeh team up with the dynamic Brooklyn-based chamber orchestra, The Knights, for an extraordinary evening, grounded in the classical tradition and crossing boundaries into the worlds of Middle Eastern, Balkan, klezmer. The Knights are a collective of adventurous musicians, dedicated to transforming the orchestral experience and eliminating barriers between audiences and music. 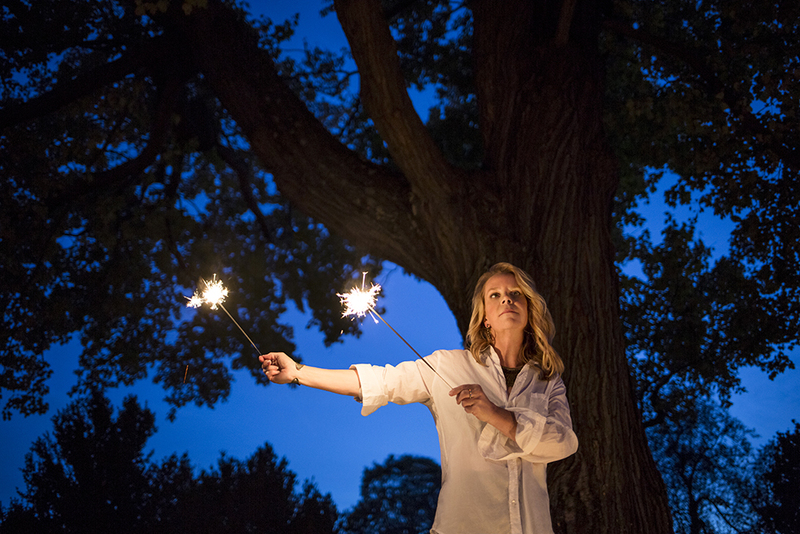 Through adventurous programming, unbridled energy and a collaborative music-making process, The Knights bring classical music to life in a way that surprises and inspires both new and longtime listeners. 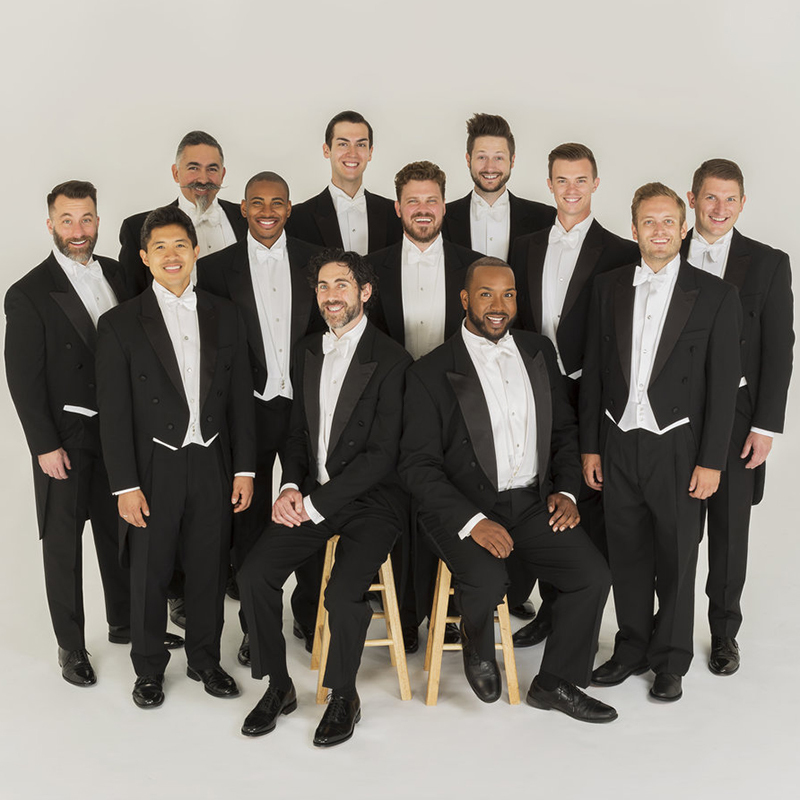 Friday, December 8, 2017 | 7:30 p.m.
Called “the world’s reigning male chorus” by The New Yorker magazine, the San Francisco based, Grammy award-winning ensemble Chanticleer will present “A Chanticleer Christmas,” the group’s most beloved program. 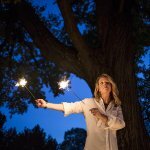 The concert presents the power and mystery, warmth and intimacy of the season through Gregorian chant, Renaissance and contemporary gems, and traditional carols. Celebrating their 40th anniversary in 2018, Chanticleer is known around the world as “an orchestra of voices” for the seamless blend of twelve male voices ranging from soprano to bass and its original interpretations of vocal literature, from Renaissance to jazz and popular genres, as well as contemporary composition. 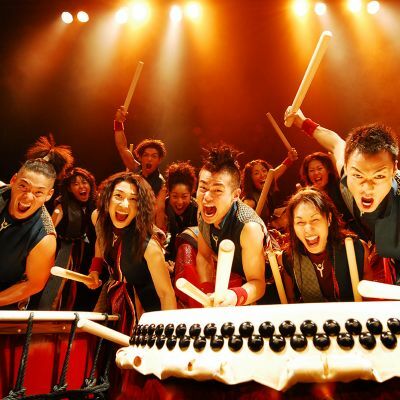 Friday, February 9, 2018 | 7:30 p.m.
With a thunderous pulse and rhythmic beats that envelop the entire audience, Japanese drummers Yamato create a percussive sound that stirs the hearts of people everywhere. Founded in 1993 in Nara, Japan, ‘the land of Yamato” is said to be the birthplace of Japanese culture. These highly-trained performers travel the world over with Japan’s traditional Wadaiko drums — made of animal skin and ancient trees, some of which are more than 400 years old — recreating the pulse, or “Shin-On,” which is carried down from antiquity and resonates within all bodies. 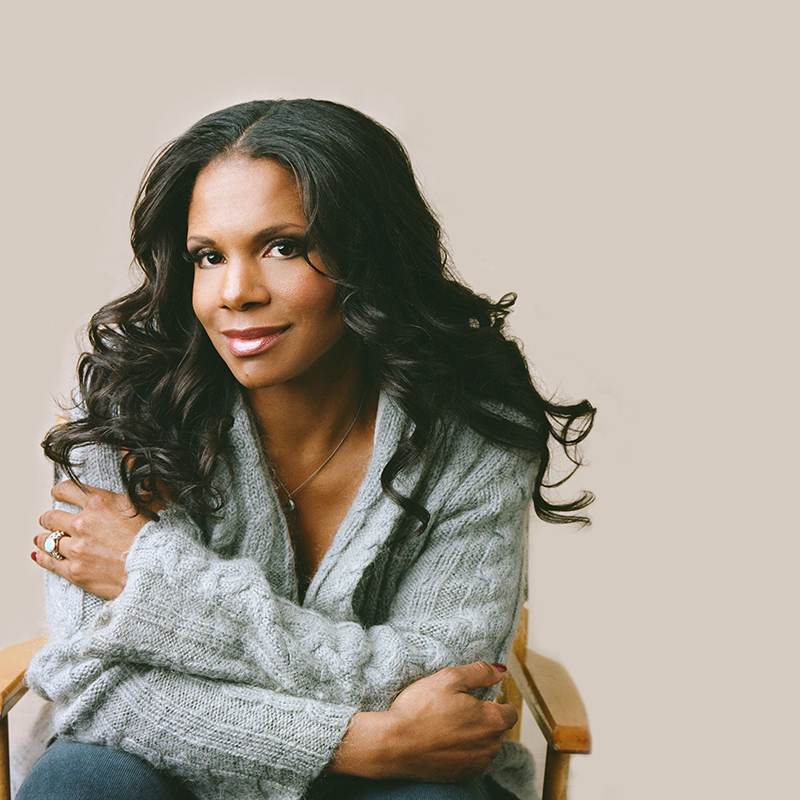 Friday, February 23, 2018 | 7:30 p.m.
Goshen College announces the rescheduling of the February 23rd concert by Audra McDonald to Thursday, June 7, 2018. We apologize for the inconvenience, which is due to a last-minute conflict with Ms. McDonald’s filming schedule for the CBS All-Access series The Good Fight. 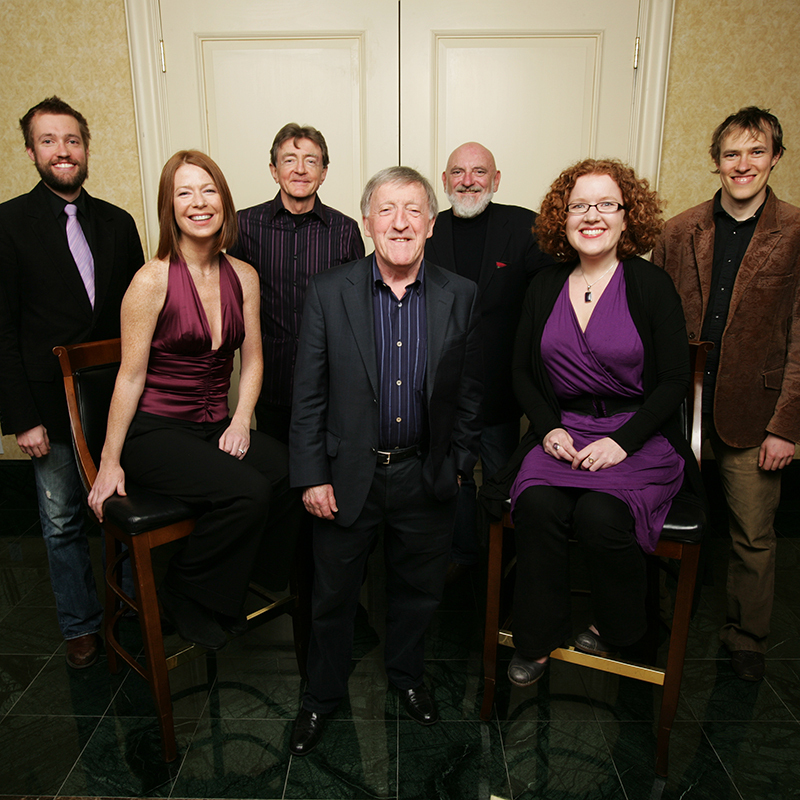 Saturday, March 3, 2018 | 7:30 p.m.
Six-time Grammy Award-winners The Chieftains, have been highly recognized for reinventing traditional Irish music on a contemporary and international scale. Their ability to transcend musical boundaries and blend tradition with modern music has notably hailed them as one of the most renowned and revered musical groups. Never afraid to shock purists and push boundaries, in their 55 years together The Chieftains have amassed a dizzyingly varied resume, and have broken many musical boundaries by collaborating and performing with some of the biggest names in rock, pop and traditional music in Ireland and around the world. 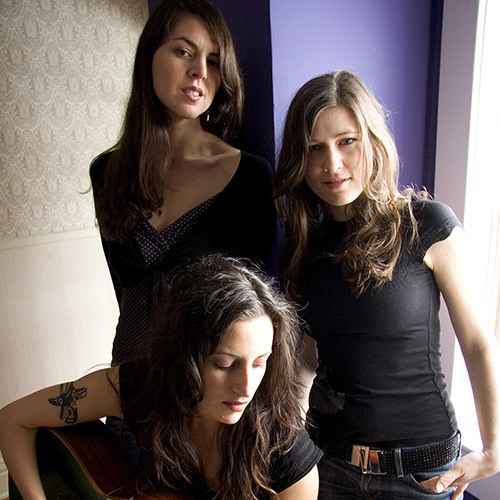 Sunday, April 15, 2018 | 7:30 p.m.
Back in Goshen by popular demand, Nicky Mehta, Ruth Moody and Heather Masse bring three distinct voices that together make an achingly perfect vocal sound of the Juno award-winning Wailin’ Jennys. With beautiful, heart-stopping harmonies, uplifting repertoire and engaging stage presence, the Wailin’ Jennys have delighted and charmed audiences for more than a decade. Their acoustic blend of bluegrass, folk and roots music has been featured on “A Prairie Home Companion” and alongside Bonnie Raitt and Rosanne Cash. Together they forge a unified folk-pop sound — all delivered with the irresistible vocal power of three. 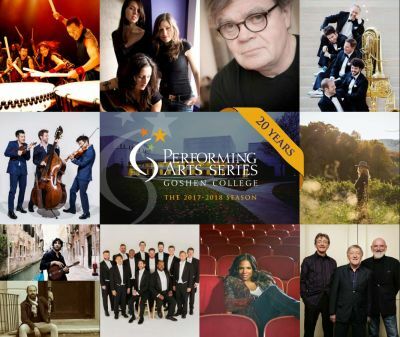 Sunday, May 6, 2018 | 4 p.m.
*Keillor was scheduled to perform at Goshen College on May 6, but we have decided to cancel his performance at Goshen College after the news came out on November 29 that Keillor has been accused of inappropriate behavior and subsequently fired by Minnesota Public Radio. We are working on a replacement performance of the quality our audience expects. We will announce that as soon as possible, along with further information for our ticket holders. Audra McDonald is unparalleled in the breadth and versatility of her artistry as both a singer and an actress. The winner of a record-breaking six Tony Awards, two Grammy Awards, and an Emmy Award, she was named one of Time magazine’s 100 most influential people of 2015 and received a 2015 National Medal of Arts from President Barack Obama. Raised in Fresno, California, the Julliard-trained soprano is equally at home on Broadway and opera stages as she is in roles on film and television. Of her many roles, her favorites are those performed offstage: passionate advocate for equal rights and homeless youth, wife to actor Will Swenson, and mother to her children. Four core performances are set for each season ticket. 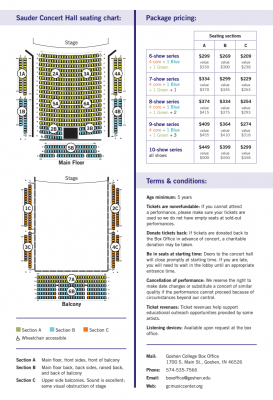 You choose the additional two performances, one each from two sets of contrasting shows. 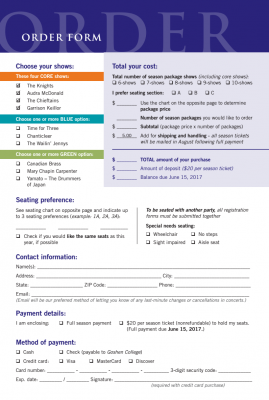 Of course, you can add as many of the remaining shows as you like to customize your personalized season package. 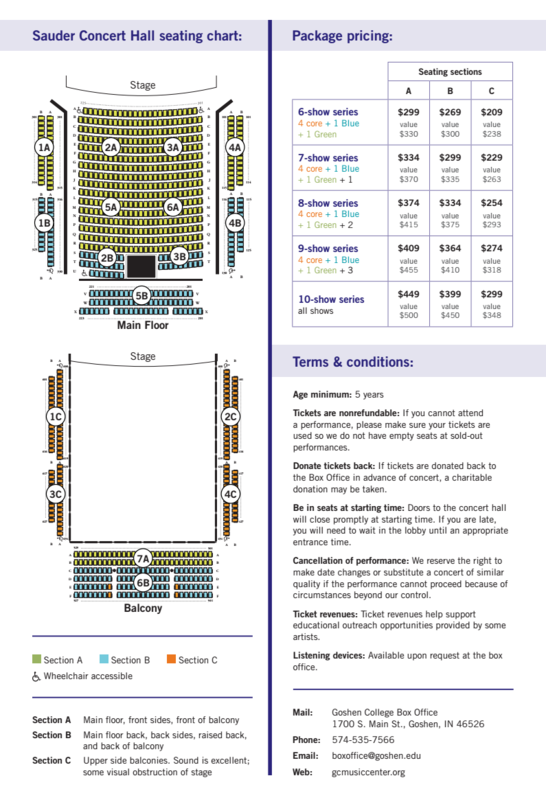 We suggest submitting season ticket orders as soon as possible to get seating in the preferred area with the same seat for each concert. Purchasing the season ticket package yields savings of up to 15% over individually-priced tickets.